Oh The Places You’ll Go by Dr Seuss. *Whispers* I may be nearly 30, but I’m a HUGE Harry Potter fan. Luckily, I have an 8 year old nephew who thinks its pretty cool his Aunty knows what her patronus would be, and that she’s in Hufflepuff (as is he, must run in the family ;)..). When I was in the worst throes of my depression (signed off work, my poor Mum having to try and chivvy me into, at the very least, having a shower), there was only one tiny bit of escapism from my own head and it was these beautiful books. I loved the intricacy of the story, the cosy feel of the books and the magical world that housed such a thrilling story, but most of all, I loved the respite it gave me from some of the darkest times of my life. I’m quite a proud Harry Potter geek really :). I’ve written about this book before, I was pretty young when I read it and I don’t know why but I just found it so moving, and powerful. 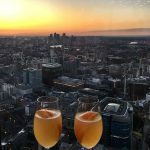 It’s such an incredible first-hand account of time in prison – both in Bangkok, and in the UK; the author is first arrested in the former, and yet her treatment in a supposedly much more developed prison system in the latter, in my opinion, is on a parity – if not worse, than her time in the Bangkok Hilton. It made me ask so many questions about our justice systems – probably things I’d never have even considered or thought about before I’d been exposed to a first hand account of life inside. This book was published in the late 90s, but in a time where a show like Orange Is The New Black has such immense popularity, it remains just as relevant today. I’ve loved a lot of Jodi Picoult’s work; I just find her style of writing so beautiful. Similar to Forget You Had A Daughter, Nineteen Minutes really got me thinking about a life completely different to my own; the story revolves around a school shooting in a quiet New Hampshire town. I read this while I myself was in secondary school and the way the stories weaves seamlessly between the shooter, the shooters parents, the superior court judge assigned to the case, whose daughter was the childhood best friend of the shooter before succumbing to peer pressure and being in the same friendship group as those responsible for bullying him is so intricately done, and the ending left me reeling. Growing up in the UK, school shootings were not something that we often – perhaps never – considered. Again, this opened my eyes to how people my age were living their life – in fear of it happening to them, to the devastation that is wreaked on those left behind and how it explores all the complexities a tragic event like this brings to society, a small town, to relationships – between friends, parents and children. This powerful examination of tragedy still makes my heart hurt to this today. A very recent addition to my ‘Books That Changed My Life’ list! I wrote about this in more detail in this post, but this funny, moving, raw and poignant real-life account of a trainee doctors time on the ward had me welling up with tears – sometimes from laughing and sometimes through utter sadness. Since living in London I’ve become a lot more aware of politics and how it influences change and crucial things we take for granted, like the NHS – this book served as an excellent reminder that our NHS is an incredible, beautiful and wildly under valued asset. This book leads with funny; at times you can feel the authors frustration at things like cancelled annual leave and so forth, but at the end, when a tragedy occurs in the operating theatre that the author could almost never have anticipated you realise that beyond the tragedy that family suffer that day, there’s a bigger story and it’s how poorly our doctors, nurses and NHS staff are taken care of when they have to bear witness to such tragically impactful things every day. This book will wake you up to just how much needs to be done and just how important it is to save the NHS as an institution, and to save the heroes who do everything from comforting a crying child, to desperately trying to save a life, only to have to then deliver the worst news of someone’s life, on what will be, one of many of the worst days of their lives too. I’ll let my review here do the talking on this one. Sad, funny, heartwarming with an unlikely hero thrown in – its impossible not to love this book or to let it resonate with you. An incredible reminder that ‘everyone is fighting a battle you know nothing about’. It’ll make you a little kinder as you go about your day in the big wide world. I think this book appeals to a side of me I’m not all that inclined to talk about – I definitely have a pretty old school idea of what romance should be (although realistically these days I’m just grateful when I meet someone on Tinder who doesn’t want to send me a picture of their willy*.). I first heard about this book from my brother, who mentioned that his friend in the army (and several of his fellow soldiers! ), had all read it and had all cried. I absolutely loved that, and I thought it must have been a pretty powerful book to have done the rounds in Afghan! I picked it up and I couldn’t put it down; you feel like you live 2 peoples whole lives alongside them, watching them saunter through the years, continually wondering if they’ll get together (and desperately willing them to). I love this book of missed chances, of a friendship tested and how two lives can forever intertwine with one another despite taking two different paths. Also – word to the wise – the film adaptation of this is the worst thing I have ever seen… Do not waste your time, the book is infinitely better! *Willy is not my first choice of word here but my Mum reads this blog so you know, censorship. 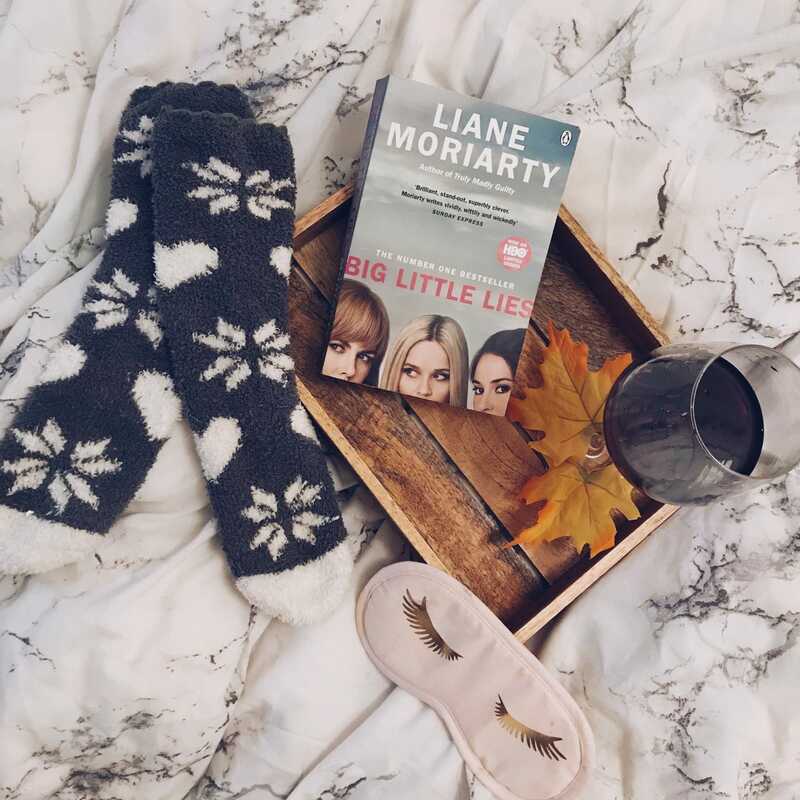 Blogger Book Club & Mini Review: Big Little Lies by Lianne Moriarty. My brilliant friend Hels has refocussed her blog efforts this year into turning her wonderful little patch of the internet into a book blog! Off the back of the success of her blog overhaul, the wonderful Blogger Book Club has been launched. Every month, you can participate in a vote for what we should read that month and then join in the Twitter chat about it! The book revolves around three characters; Madeleine, Celeste and Jane. Madeleine is dealing with the complexity of her ex-husband turning up with his new yogi-wife and their child attending the same school whilst they both try to co-parent their teenage daughter, Abigail. Celeste is hiding a dark secret, although to the outsider she appears to be leading the most picture-perfect life. Jane is new to town and is soon taken under Madeleine’s wing – the trio quickly bond and bit by bit, we get a glimpse into their lives, where not all is as it seems. This book takes a satirical look at the heightened drama that often surrounds PTA’s, and there’s a lot of stereotypes that are made into caricatures for the benefit of the book. I loved how this book explored difficult themes such as domestic violence – this part of the book was well-researched and well-written; this is a topic close to my heart and I was glad to see it thoroughly researched (the book included the reading the author had done in the acknowledgements, top points to Moriarty for that.). It cleverly explores gender dynamics, and the differences we unwittingly bestow upon children by how we raise them. The plot itself is clever – you know from the off there’s been a murder, and the end of each chapter sees a little snippet of someone’s take on the events of an evening that changed the lives of everyone you encounter in the book. The series is very very similar to the book apart from one major plot change. I tried to discern if I would have loved this book if it weren’t for having the series and I think overall I like the story, but (unusually for me) I preferred it as a TV production; this really allowed for the element of mystery to build, and made for a much less whimsical narrative. Overall the storyline was great, but I think the execution was far better on screen. Both are worth a go! If you’d like to join in the Blogger Book Club follow @thehelsproject (click the embedded tweet below!) 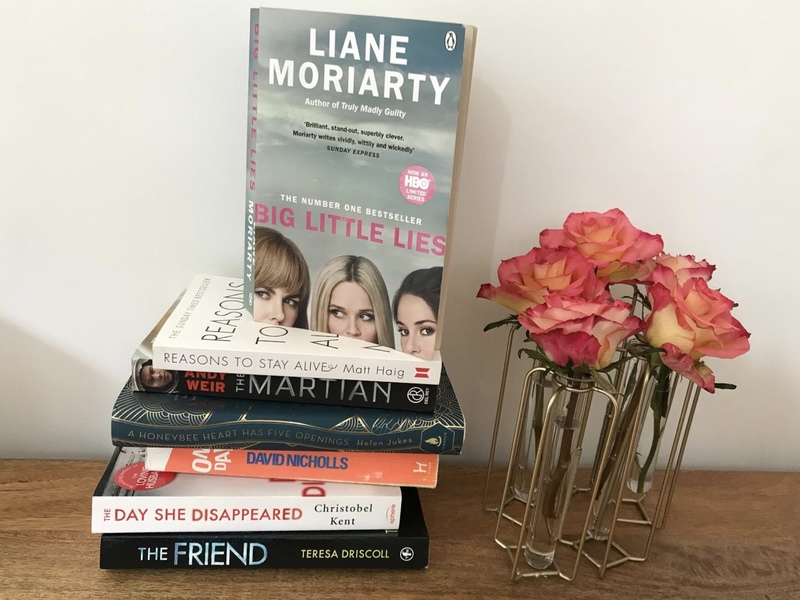 and keep an eye out for the poll for the next book – or if you want to read Big Little Lies and join us feel free to! Previous Post Good Morning, London, You Look Beautiful Today. LOVE YOU! Thank you so much for the Blogger Book Club shout-out!! 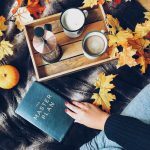 This post really makes me smile, there are definitely some books that have changed my life – Harry Potter is also definitely one of them for me. 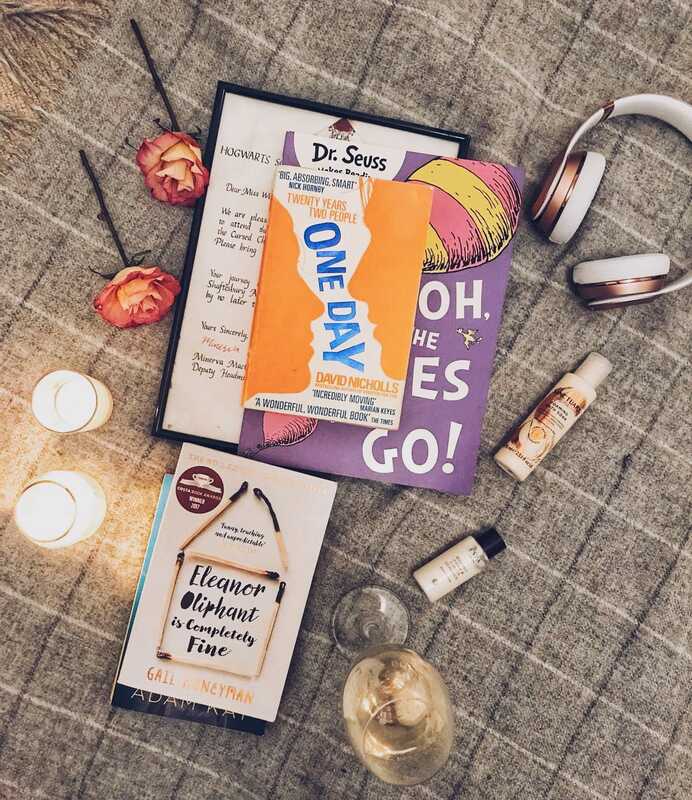 I absolutely love the Dr Seuss books, I’ve been reading some of them to Dougie and can appreciate them on a completely new level now I’m older – (some) kids books are not just for kids! I’ve read Eleanor Oliphant and This Is Going to Hurt this year too and absolutely loved both of them – such different books but ones I think everyone should read. Harry Potter is definitely one of the best series I’ve ever read for escapism – even last night when I was struggling with anxiety, once a certain wonderful friend had calmed me down, I listened to the audiobook of Half Blood Prince and it distracted me and helped me sleep, it’s incredible what books can do. Honestly I’ve read very few of these books. However I have to agree Harry Potter changed my outlook. I don’t have a great relationship with my family, so having a family like the weasleys in one of the moratorium profound franchises gave me so much comfort that not every familiy was like my own. And I’ve definitely added a few of these books to my ‘must read’ list. I absolutely love this post! I can relate to you so much on Harry Potter having had a huge influence in my life, even though I now look at it a bit differently I really appreciate having such an all-consuming other ‘world’ to grow up in. I also absolutely adored Nineteen Minutes. I read it twice – once before and once after meeting my husband, who grew up in Dunblane and was in P2 when the shooting happened there. The fact that it is a common occurrence in any nation makes my blood run cold. I *really* need to get my hands on This is Going to Hurt – I’ve heard such rave reviews that I can’t believe I still haven’t read it, I’m ashamed of myself! Also really love your thoughts on Big Little Lies – I loved the book but still haven’t watched it so this was a different take to my own! I’ve had One Day in my pile of things to read for ages and I started it but couldn’t really get into it but after reading that I think I just have to try again! I always add about 500 books to my TBR list every time I read a bookish blog post and this is no exception! I really want to pick up One Day, it sounds like such a powerful story! I wholeheartedly endorse your recommendation of Big Little Lies as well, I’m so glad that Hels picked it for the Blogger Book Club! It deals with some very difficult and complex issues such as bullying and abuse very well and I think it shows just how much of an impact both words and physical violence can have on someone’s life! I didn’t expect the twist at the end with Ziggy’s father’s identity and that sealed the book as a good one in my eyes! I also read This Is Going to Hurt lately and oh my goodness I have so much respect for anyone who works in the NHS now. We all gripe about it from time to time but it really is horrendous what doctors, nurses and other staff have to go through on a daily basis just to keep the system running! Thank you for all of these amazing recommendations! Brilliant post, I love it! I’m a huge Harry Potter fan too. I love being captivated to another world and it’s great that they offered you some form of escapism too. I’ve been meaning to read Eleanor Oliphant is completely fine and Big Little Lies for ages now. I’d definitely be interested to read Forget You had a Daughter. Thanks for sharing your life changing books with us! Best wishes. Kate.